We are at the top end of the spectrum here when it comes to muscle cars. All original, numbers matching and in pristine condition. This 1970 Chevrolet Chevelle SS LS6 has had a complete frame off restoration and comes with original window sticker, original Protect-O-Plate and two original build sheets. Condition wise, it’s probably as good as it gets and being a dealer sold vehicle you going to pay a bit more than a private sale, but on the flip side you should get more peace of mind with what you’re getting. The listing doesn’t give exact production numbers, but a bit of sniffing around online gives 4,475 1970 LS6 454’s produced that year, but production numbers by paint code in general says there are no definitive productions numbers. 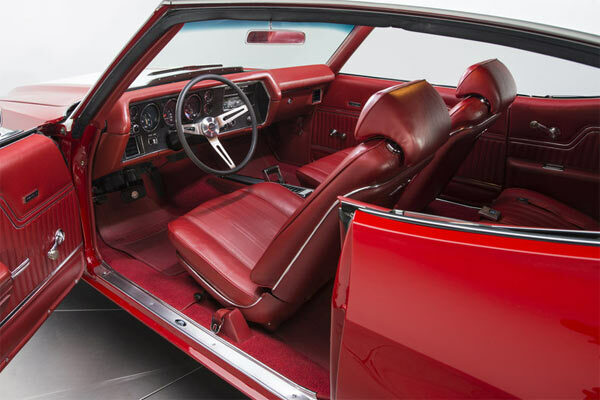 Cranberry Red was probably one of the most popular with total production numbers that year being 26,515 in Cranberry Red for any Chevelle variant. 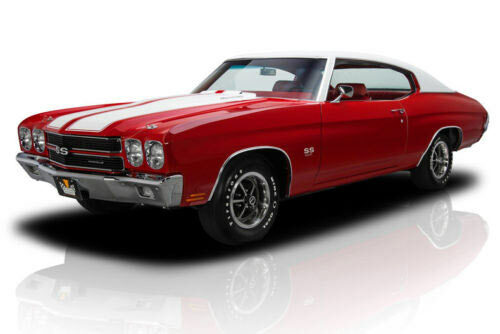 In any case, the red and white combination color scheme looks fantastic and with an LS6, this Chevelle ticks every box available for a pristine 1970 example. An F41 Special Performance Suspension with 3.31 gears also makes this example standout. 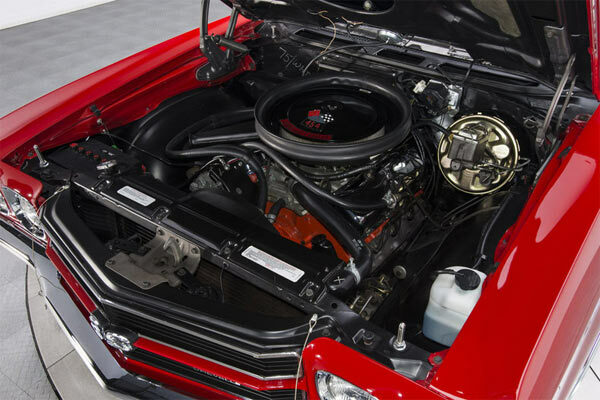 Prime condition 1970s Chevelle SS models with an LS6 are investment grade material and although you’re paying dealer prices here, cars like this will steadily increase their worth year on year. It’s that strange dichotomy where we wante muscle cars to be worth a lot, especially if you own one, but if you want to get your hands on one these days, especially in great condition with some tasty options, you’ve got to have deep pockets. As a classic muscle car, you simply can’t go wrong with the 1970s Chevelle SS.